Benjamin Behrend (Writer/Cast) Benjamin is a Philadelphia-based writer and actor. He has worked with Arden Theatre Company, InterAct Theatre Company, Act II Playhouse, Idiopathic Ridiculopathy Consortium, ComedySportz, and Philly Improv Theater. Film: No Whammies. He is a former InterAct Theatre Company Apprentice, and a graduate of the University of Pennsylvania. Upcoming: An independent horror film, The Cursed Idol of 7B. Patrick Romano (Writer/Cast) is a Philly-based actor, writer, and director. He has worked with Act II Playhouse, Walnut Street Theatre, Arden Theatre Company, Quintessence Theatre Group, Juniper Productions, CSz Philly, and the Philly Fringe Festival. Film: How To Get Girls, Sock. Commercial: goPuff. 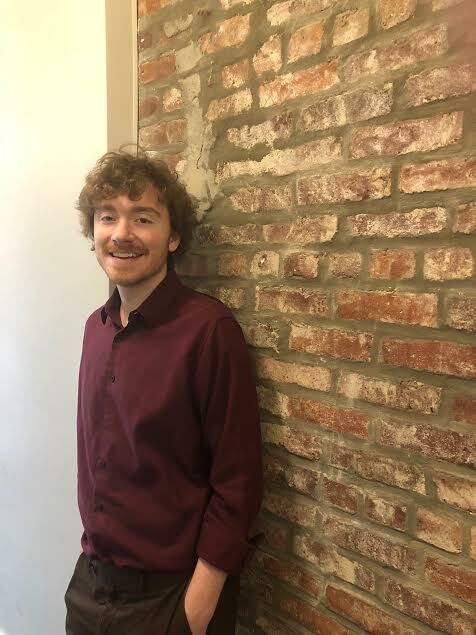 In September 2018, Patrick will pursue an MFA in Acting at The Theatre School at DePaul. Joe Miciak (Cast) is a Philly-inspired writer and performer currently based in Brooklyn, New York. He’s performed in shows at UCB and People’s Improv Theater. Graduate of the University of Pennsylvania and the Mask and Wig Club. Becca Lambright (Producer) is from Cleveland, studying Creative Writing at UPenn. In her free time she works with a number of comedy groups: Simply Chaos, Mask and Wig, and Bloomers. Marianne Murphy (Lighting Designer) is a Philly-based light designer, writer, performer, and educator. She serves as a tech representative and house manager at CSZ Philadelphia. She holds a BFA in Animation from UArts and an MFA in Writing for Children from VCFA. Nick Seymour (Sound Designer) Nick is a Junior at Penn studying communications. He is a member of Mask and Wig Stage Crew and is also the company's Digital Manager. He is head of the lighting team for the Strictly Funk Dance Company. Nick also does audio/visual engineering as a Wexler Studio Staffer at the Kelly Writer's House. Hannah Ceisler (Creative Consultant) is a recent graduate of the University of Pennsylvania. She was the co-president of Simply Chaos, Penn's premier stand-up collective. Bryant Edwards (Fight Choreographer) is a Philadelphia theatre artist. Previous fight credits: The Vs. Series (Philly Fringe, Choreographer/Creator), Cursed: A Showcase (Arden Theatre Company, Fight Captain), Macbeth (Oakland Shakespeare, Choreographer). Other credits: A Midsummer Night’s Dream (Oakland Shakespeare), Cocaine (Pittsburgh Fringe), Saudade: A Sense Play and Ubu King (Alarum Theatre). Proud member of Arden Apprentice Class 22. Eric Lifland (Musical Arrangement and Accompaniment) is a music teacher, pianist, and singer originally from Pasadena. He teaches music at Normandie Elementary in South L.A. and musicianship classes at the Los Angeles Children’s Chorus. He earned his B.A. in Music from the University of Pennsylvania in 2016.